"Keep the Antiques & Classics Flying!" 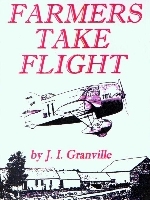 Zantford Granville's great contribution to aviation science. Another Great Granville invention and contribution to aviation. Complete listing of all Granville built aircraft. Purchase a great Video Documentary! to purchase a great Gee Bee book! The Granville Brothers and Their Fantastic Airplanes. Some of the most famous racing planes designed and built in the 1930's, were the Gee Bee's. Built by the Granville brothers of the Granville Brothers Aircraft Company, Springfield, Massachusetts. The Granville brothers: Zantford, Thomas, Robert, Mark and Edward came to Springfield in 1929 to the Springfield Airport located between Liberty Street and St. James Avenue. Their airplanes won many races and set new speed records. Their racing aircraft made use of new and bold design concepts to get as much speed as possible. The brothers built many racing planes. Their most notorious was the: Gee Bee Super Sportster, models R-1 and R-2. James Doolittle won the 1932 Thompson Trophy race flying a Gee Bee R-1 at a speed of 252.686 miles per hour. The R1 had an 800-Horsepower Pratt&Whitney Wasp Senior engine installed. Today You can see a Gee Bee R-2 on the Air Show circuit, This breathtaking, outstanding replica was built by Delmar Benjamin and Steve Wolf, and is flown by Delmar, who is a superbly skilled pilot, and has more hours flying a Gee Bee R-2 than any man in history. Like many other people, I have been fascinated by the Gee Bee all my life, and to see one flying is so very exciting to me that I can't describe it with words. So if You see many pictures of Gee Bees on this site, you will know why. The GeeBee and its designers had until recently been given a bad rap for their aircraft designs,In actuality they were remarkable aircraft and contributed greatly to the technical advancement of aviation design and aeronautical engineering, and had monumental impact on the development of military and civil aircraft that followed. The Gee Bees were some of the first aircraft designed and built with an engineers full understanding that to take advantage of performance gains, required that a superb pilot would have to compensate for high landing speeds, reduced stability and very demanding flying techniques. The superbly skilled and knowledgeable pilots successfully flew Gee Bees, the less skilled and sometimes hard headed pilots did not, and some lost their lives in the process. Today’s aircraft although much faster and more efficient are not that much different in the fact that they have some unforgiving, peculiar flying characteristics, except that Computers compensate for these flight characteristics today, rather than the pilot. To provide a brief history of the Gee Bee and it's designers and to help set the record straight about Gee Bees. If you start talking about the Gee Bee racers most people recall only the many accidents that befell these aircraft and their pilots. Over the years, various articles have pictured these craft as "killers", "the most dangerous aircraft ever built", The fact is is that Gee Bee airplanes were designed by Engineers, Models were tested in wind tunnels and their airplanes were not treacherous killers as has been depicted by many ignorant journalists. The fact is The Granvilles were true heroic American entrepreneurs and their airplane designs were very successful advanced designs of that time. The slander that has attached itself to them doesn't seem to ever wear out, even after 60 years have passed. Every generation of "journalists" seems compelled to repeat the falsehoods that they have heard. The only thing that the Granville brothers and their aircraft were guilty of,was being plagued by a string of bad luck! Scott Brener for his help,encouragement,extensive knowledge of the Granville Brothers and for his many valuable contributions to this web site. various articles acquired over time and many valuable contributions of information and pictures supplied by Mr.Scott Brener,and Mr.David Jackson. Some pages on this site are graphic intensive,so please be patient,it takes time to load. This site is continually being updated,changed and messed with. This site is for informational purposes only and I recognize that some words,logo,models,names and designations,mentioned and used on this site are the property of the trademark holder.I use them for identification purposes only.This site is not an official publication. If you would like to contribute information or photographs to this site,or have any suggestions,then please contact us at dgraves549@aol.com or breners@aeroinc.net .You will be given full credit and recognition for any info and pictures contributed). Send mail to Darrell Graves dgraves549@aol.comor Scott Brenerbreners@aeroinc.netwith questions or comments about this web site. Copyright © 1999 D&C Aviation Limited. This site designed and maintained by:D&C Aviation Limited ,Huntsville,Alabama . Set monitor resolution to 800 X 600 with thousands of colors or more and this window maximized in browser.